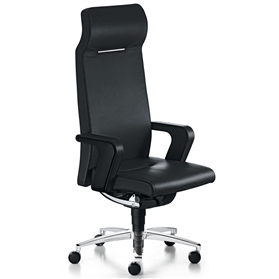 Those who achieve much, deserve perfect ergonomics and a high level of wellbeing and comfort in the office. Sedus has been committed to this philosophy for more than 130 years, consistently manufacturing products that set new standards. The product developers created new office and conference swivel chairs for the highest requirements with “of course”. Every chair is a contemporary masterpiece and offers unlimited quality, functionality and comfort. The striking design illustrates its strong character and emphasises the claim to leadership.